When you think about how fake currency detector, it can be a little bit confusing especially if you don’t have the technical know-how. But you will be shocked to learn these machines works. If you thought that there is some magic about the operation of the machine, then we are going to debunk all these ideas that people have about fake currency detectors. However, it is important to note that these machines use sophisticated technologies to detect all fake bills. Therefore, the manufacturer must always be ahead of the criminals to protect the user. UV is one of the widely used technology for fake currency detection method. 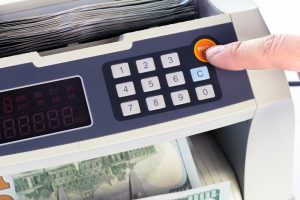 It is a very effective method, and that is why every fake currency detector manufacturer is using it. The technology works by detecting UV marks by the use of the UV light. These marks are only visible under this. Therefore if the marks are not visible, the money will stop error showing its fake money. MG is another technique that is widely used by most of the factory producing fake currency detectors. Genuine money is designed with magnetic ink. It is this magnetic ink that the technology is design to detect. To make it difficult of the fakers, the ink is placed in strategic areas on the note. When the MG sensor does not get any Magnetic signal, the machine will Error and stop. CIS is probably one of the most effective methods of in detecting fake as well as denominations. This method detects the image of the bill under different lights. With these lights, it can detect fake notes as well sort out various denominations. Therefore, it does more than just detecting fake bills. The latest models are making the fake bills detection very simple. By just checking the size of the bills, it can easily tell when you have fake money. These machine machines are working in a principle that bills are created in a standard size. Therefore, any deviation from that size raises the alarm. IR is another technique that is used by every manufacturer. The method detects the double-note and half-note. These are some of the main technology being used by various factories. To make the machine more accurate and efficient, most manufacturers, are combining a number of these techniques in one machine.